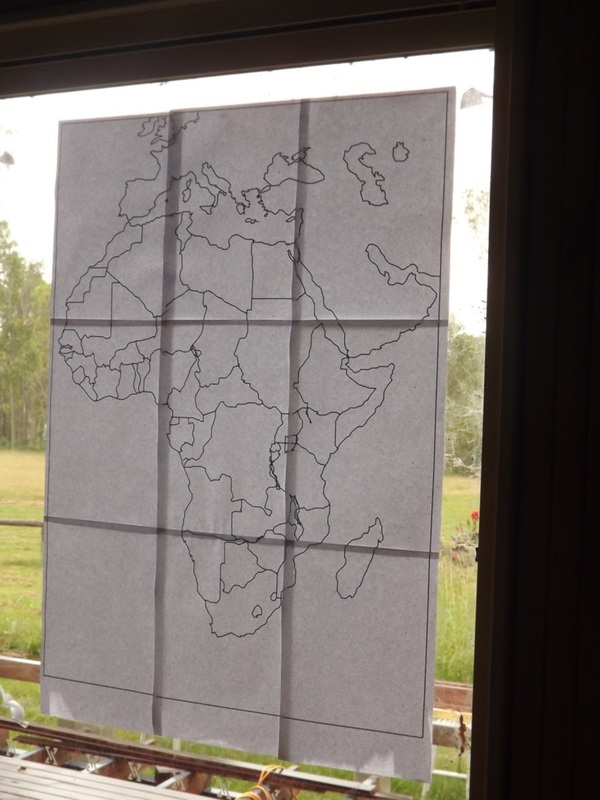 Map Fever has struck! We, well I;) began this term with high hopes for our geography studies. After all Africa is a fascinating continent, alas Trail Guide to World Geography was not a good fit for us. We pottered with enjoying some African picture and chapter books, read Children Just Like Me and completed a couple of fact sheets. Still I was failing to capture any enthusiasm, when I remembered what fun we had creating Mega Maps a couple of years back. 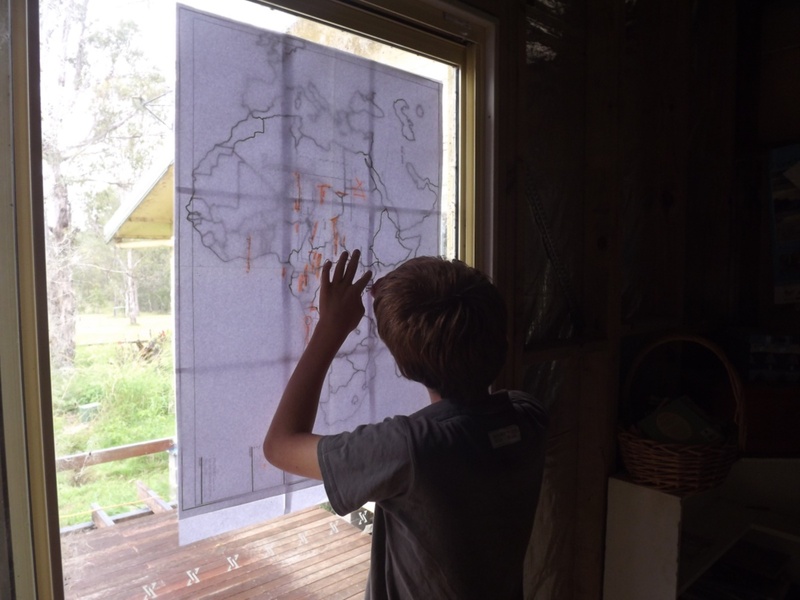 We printed out a nine page mega map, taped to the window and then taped a local architecture’s ‘cast off’ plans over the top. 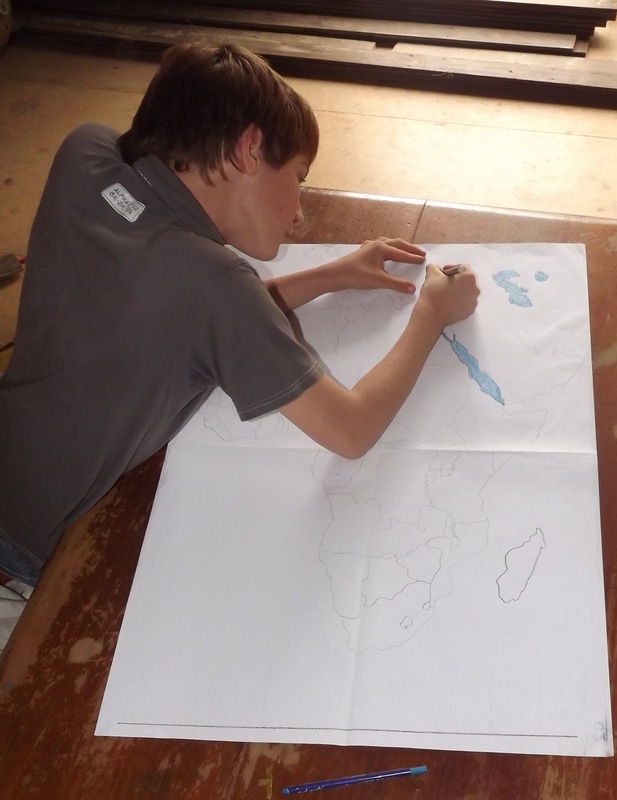 Michelangelo meticulously traced out a new map. 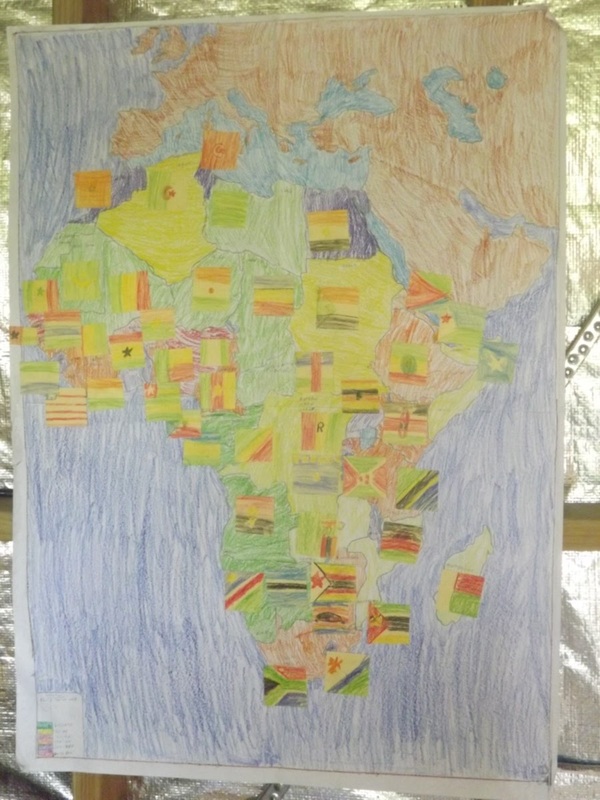 Meanwhile Princess decided to draw and colour flags for each nation. 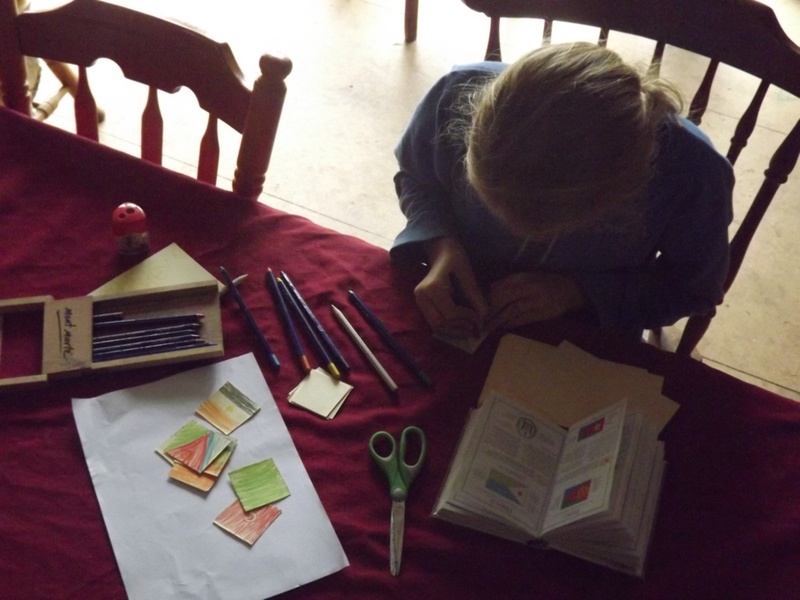 She used blank index cards and cut them smaller to fit onto the countries. Finally the girl who was declaring “I hate Geography” was hooked. 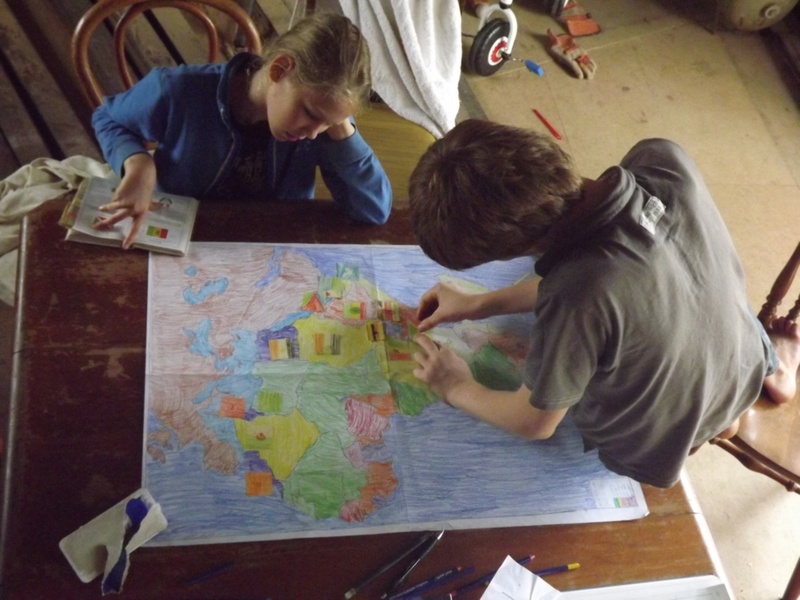 Within minutes of beginning their map/flags the children were engrossed. Making deep connections to their learning is not necessarily a weekly occurrence, but oh so thrilling when it does happen. Before long Jelly Bean’s interest was captured and she was helping Princess as much as she was able. 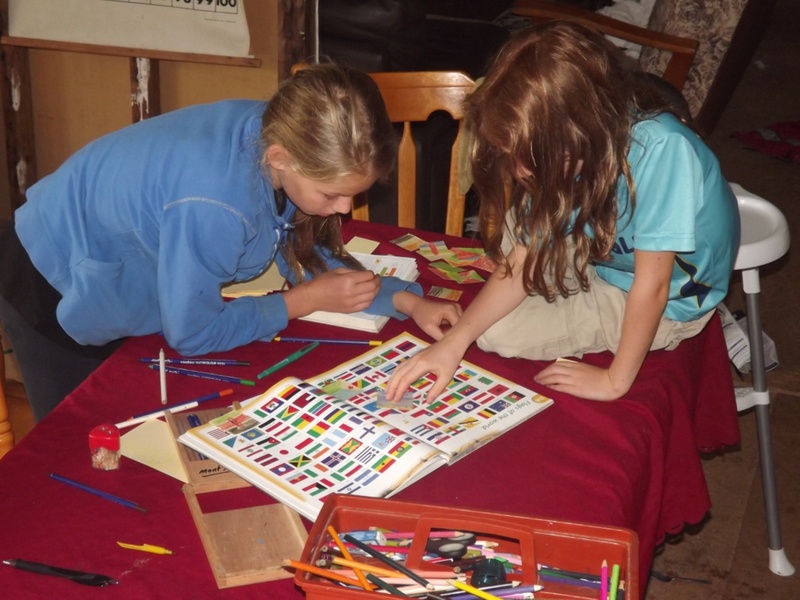 The children became so engrossed that in the conclusion they spent six solid hours straight working and learning!!! ooh wonderful! Thanks for the link to Mega maps too!! Erin that looks fabulous. I am starting to put together our World Travel adventure. Would love to hear more about the picture books you read. Wonderful, Erin! Their map is a treasure! What a brilliant idea! I'm definitely going to bookmark this post and the mega maps site. Thanks! I love the map they did an amazing job on it. It is great when you get so engrossed in learning something that you can do it for hours. Thank you all for your words of enthusiasm:) So nice to hear from you all. Looks like a great idea, must try it sometime.